As we did this activity before, do-a-dot printables can also be used to work on things like learning shapes. On this worksheet, I drew one of four different shapes in each of the circles. I then drew those same shapes on dot stickers. 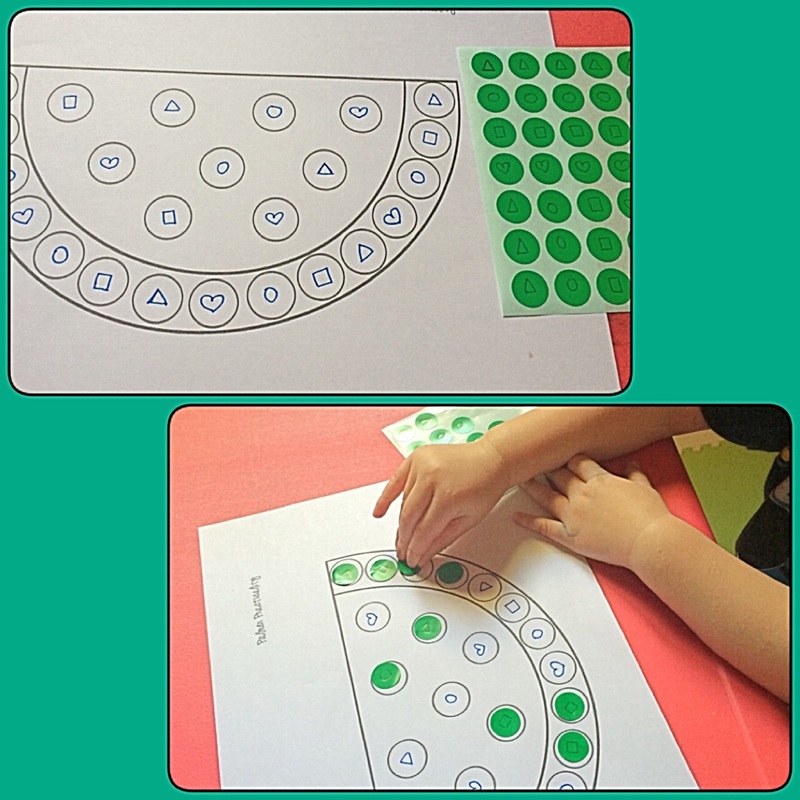 With this set up, you can ask your kids to match the dot stickers to the shapes on the worksheet. Although I drew triangles, circles, squares, and hearts, you could use any shapes you like in order to adjust this to your child’s skill level. 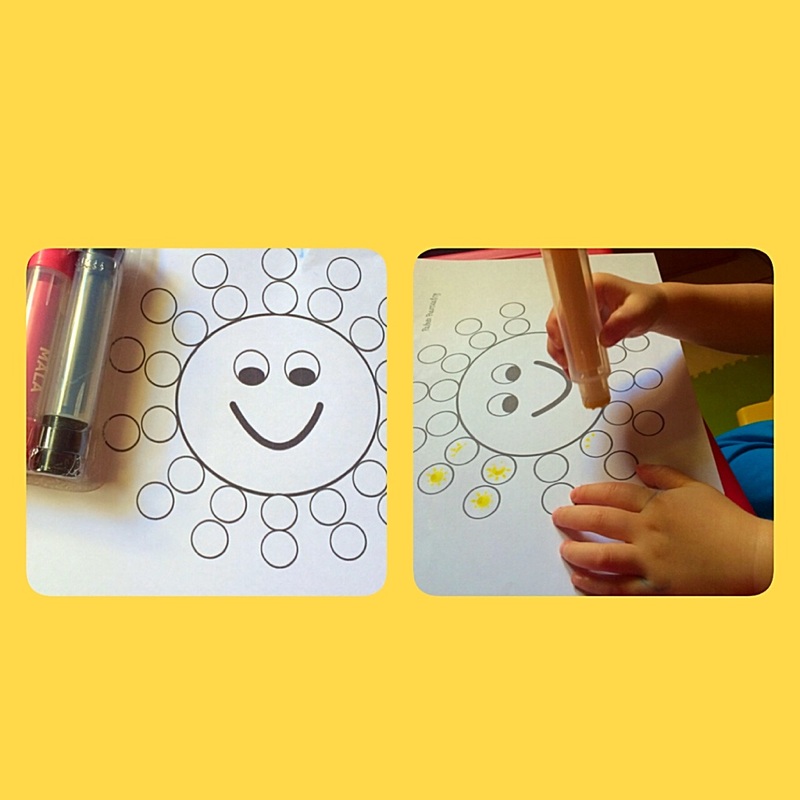 For toddlers and preschoolers who still working on one-to-one correspondence, provide them with a do-a-dot worksheet and a do-a-dot art marker. Encourage your child to use the marker to make one dot mark in each of the circles on the page. This activity will also help our children to develop their fine motor skills and hand eye coordination.